Virtual reality seamlessly integrated into the smartphone and entertainment industry was the biggest media evolution last year. In the Mobile World Conference 2016, technology giants like Google, Facebook, Oculus, Apple and much more were pioneering the augmented and virtual reality media as the next big. In simple words, VR is a video experience that makes it live with a display that you wear, covering your eyes full. The moment you turn on the VR media, it starts to give you a simulated real life experience with sight and sound. It like watching a 3D or 5D movie but with immersive entertainment blended with real life adventures. VR was about to be a revolutionary step towards the entertainment technology until some companies made it a luxury instead of an affordable gadget accessory. Samsung offers its VR headset, priced around $100 and is an excellent upgrade to Google’s attempt called Cardboard. The Google Cardboard is meant to inject the users with the amount of entertainment of virtual reality media, but with a price tag of $15, it looks like the most expensive cardboard assortment you'll ever purchase. There are some other companies as well who went too far with the price range of $5-10. Unfortunately, they all sport a flat cardboard piece with the instructions. The one good thing is that the Play Store is filled with thousands free VR apps. Since Cardboard was not enough to satisfy my whim, I continued my search to find the best VR headset that would be affordable and rather not a piece of cardboard and magnets. Fortunately, the journey ended with the BlitzWolf VR2 Virtual Headset, that is available on a leading e-commerce, Banggood.com. The headset is designed for a broad range of smartphones with displays support up to 3.5-6″. A high-quality VR Headset that also works with a Bluetooth Controller to play and pause the video content. 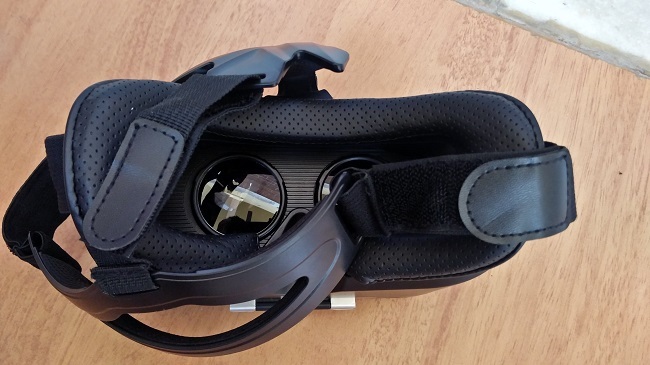 So, without any further discussions, let's start the review of BlitzWolf VR2 Headset. The BlitzWolf VR head glasses sport a very lightweight ABS shell, and an elastic band for the grip. It is intended to hold devices no larger than 154mm by 82mm width. For all the Nexus 6 and iPhone 7 Plus device owners, I'm sorry that you won't be able to entertain with the VR, at least with this headset. Moreover, the inside of the headphone perfectly grips your smartphone for an immersive and comforting experience. The plastic body of the headset is made of durable ABS material and is built well with the comfort features designed to fit all kinds of heads, large, medium or small. The head strap is extremely adjustable, and surprisingly, it doesn't become loose after using it for a while. The eyepieces allowed to be adjusted quickly with the variation in the nose bridge width. The adjustments are more like Binoculars. The headset with the spring mechanism easily attached the smartphone. BlitzWolf has packed many features they could fit into its headset, and it doesn't end here. The company also offers a Bluetooth Remote that can easily control the headset for media playback and gaming options, which I will mention later in the review. To get started, all you need is simply to download the VR content, say a Roller Coaster Ride game and plug in your smartphone into the Headset. The rest is up to your eyes. 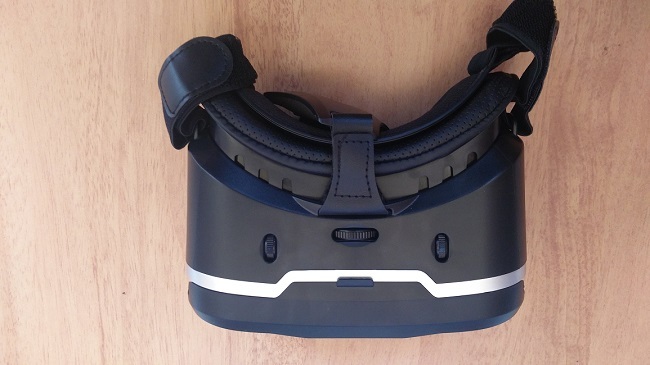 The BlitzWolf VR headset is worth every penny, especially when it compared with another headset companies that offer the same functions but with a bigger price tag. For a price that BlitzWolf offers this headset, it perfectly shames the Samsung Gear VR which is only limited to Galaxy smartphones. However, I am not trying to conclude that the Gear VR is useless but not try the affordable one. The headset is incredibly lightweight, well built, and has a broad range of options for making best in its price range. For a tall guy like me, who holds a pretty big head but of course of the high-functioning brain, this fits my head perfectly. Nonetheless, I also got it tested from my smaller cousin, half of my age and head size, and with some little strap adjustments, he also indulged into some crazy rollercoaster experience. There was a constant ooh, aah and the giggling which made the review more entertaining. Though I know that it is pretty difficult to explain the kind of amusement I experienced. But if you've been using Facebook lately, then you must be aware of the 360 Photos and Videos technology. Now, Imagine the same but with much better quality. Since you're already aware of most of the VR experience, let me shed a little light on the controller that is crafted by Shine Con. It is multipurpose Wireless Controller that can be used to play games as well as control your smartphone for multiple purposes. From moving your Up, down, left, right in the Game to mute the music and click the camera shutter, this device can do a lot more at an affordable price. The controller works fine when gaming with Android, PC, or and iOS device. It sports the standard gamepad like buttons arrangement too. 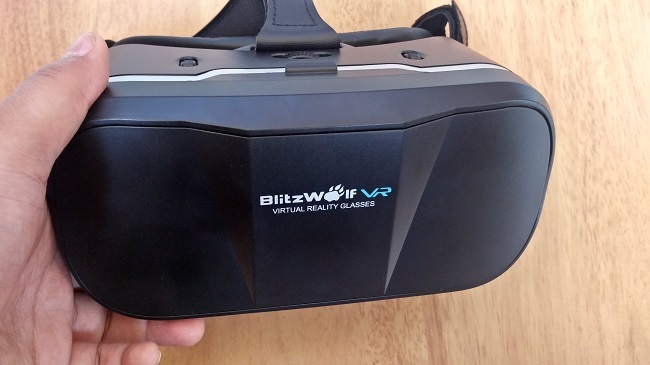 The BlitzWolf VR headset is an incredible deal at $28.99 or approximately 1600 Bucks in India. Considering what Google offers for half the price, it's a reasonable price to give you the best VR experience. With the adjustable eye pieces and a comfortable head strap, it's definitely the best you can get under this price range. Moreover, the Oculus VR is too expensive for entertainment purposes. The banggood.com offers most of the products with free shipping, so you wouldn't have to worry. Now, you can purchase the BlitzWolf VR2 Virtual headset and for a limited time save 28% off this headset by using discount code BWVR3BG at checkout. 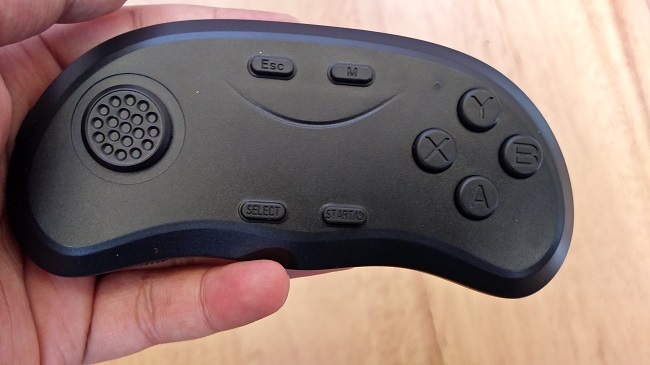 The Multipurpose Bluetooth Gamepad Controller is priced at 457 Bucks to be precise. You can also get them from the banggood.com website with free shipping and delivery. 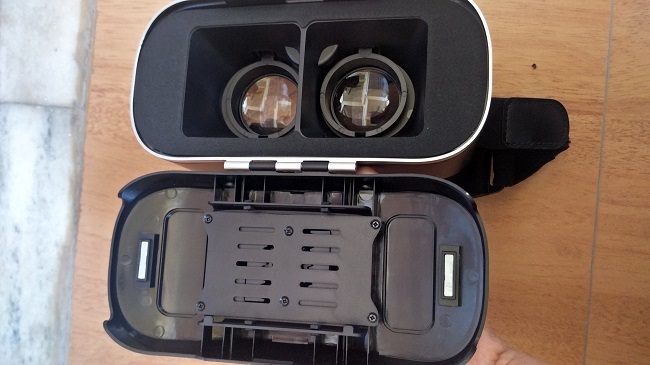 Now, it's simply up to you to decide whether to experience such fun and awesome videos on good VR headset with excellent visual and physical customizations or just a foldable cardboard. While some might relate to the cardboard for god knows what reason, I prefer the BlitzWolf BW-VR2 Virtual Headset as the ultimate solution.